In the Gatov West Gallery was a show called “Disquieting”. I was surprised and amazed by the paintings hanged around the wall. The mythical creatures portrayed in the paintings were horrifying,but very cool at the same time. David De Mendoza showed his passion for horror stuff. 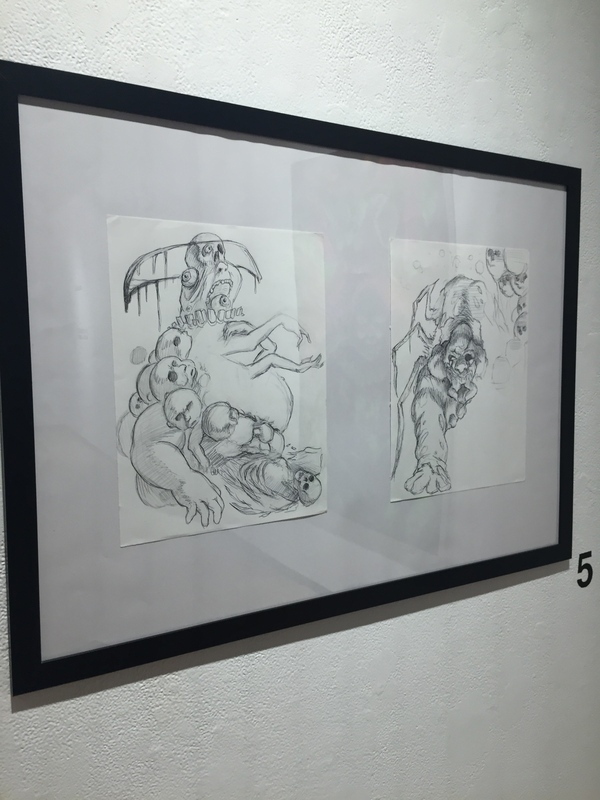 This gallery was based off the concept of fears. Within the paintings were many mixture of colors that popped out and caught the attention of my eyes. He used oil paint to create these images. Before he created these masterpieces he sketch them out of paper. These sketches were drawings he made about two years ago. He used many human figures in this paintings and deformed them into creatures. My favorite was the painting called “Deadlight”. In this painting there is a lot going on. There is a clown that has a spider as its body and and alien figure attached to it’s head. This painting represented my fears which are spiders, clowns, and aliens. These paintings were about fears and nightmares. He wanted his viewers to have a natural reaction to his paintings . He didn’t have a specific way he wanted his viewers to react.I feel like he is explore his comfort zone as he mentioned before. He was inspired by horror films when creating these illustrations. The illustrates were forms of him expressing his appreciation for horror films. I really enjoyed this gallery because it really got me excited for halloween. . These paintings looked fun to create and challenging to create. 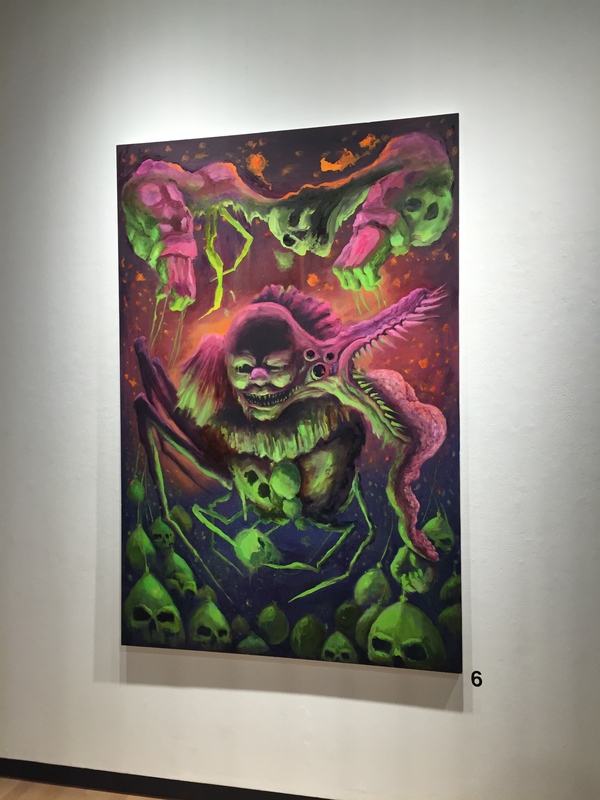 This gallery showed me that art can be pretty, ugly, and even scary.